Last year I became friends with Lynn Dove, a Christian author in Canada. She has written a three book fictional series to help Christian young people who are being bullied. 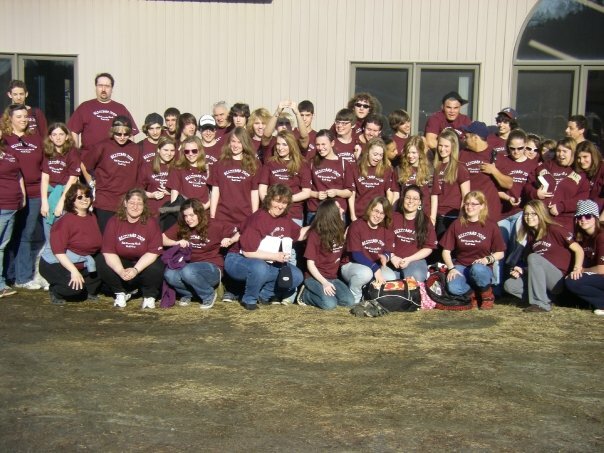 At the time we connected, I was trying to help several teens in our youth group that had been bullied. I purchased some copies of her books to give to those young people. I highly recommend the books to parents, teachers and church youth workers who are looking for ways to encourage young people experiencing bullying. Leigh does not know who to choose...her heart tells her she will always love Jake, but he has changed so much since the death of their friend, Ronnie, and with his mother going through breast cancer; he has totally closed himself off from her emotionally. Now she is dating Dylan and try as she might to accept him for who he is, she can't stop thinking about Jake! Dylan has never gotten over the loss of his father and little sister, killed by a drunk driver when he was just a young boy. After a horrific accident that has put both Tim and his little brother, Evan in the hospital, everyone knows that not only is he being bullied at school; he cuts himself to cope with it all. But meeting Cassidy has given him the courage to stand up to the bullies and at the same time give her what she so desperately needs...a life-giving bone marrow transplant. Jake's mother keeps telling him that "God works all things out for good" but with all the things going on in his life and with his friends, he's just not sure anymore. It is only after Mike is paralyzed in a car accident that Jake was partially responsible for that all the families and friends will be brought back together, not by coincidence, but by God's design and then Jake will finally believe that God truly does "Love the Wounded". Lynn Dove is a wife, mother, grandmother, teacher and writer. Winner of a Canadian Christian Writing Award in 2011, Lynn Dove's debut novel, Shoot the Wounded, written for teens and young adults was a finalist in the 2010 Readers Favorite Book Awards. 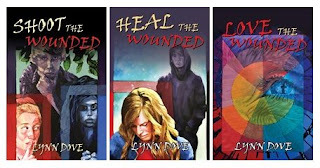 Heal the Wounded, released in 2010, the second book in this series won the Bronze Medal in the 2011 Readers Favorite Book Awards in the Young Adult - Coming of Age category. Love the Wounded is the final book in the "Wounded Trilogy." Investing In The Next Generation Works!!! In my previous post I discussed the importance of relationships in the evangelism process. I want to continue that train of thought in today’s post. Building relationships with young nonbelievers is an important part of evangelism because young people are often under the false impression that Christians live perfect lives. When young people build relationships with Christians, they discover that Christians have struggles too. When they realize that faith in Christ helps Christians to deal with those struggles, they become interested in learning more about Christ. When churches help their members engage in personal evangelism through sharing their own diﬃculties in life and how their faith gives them hope, it impacts the next generation deeply. Faith Community Church in Barre, Vermont, has excelled in reaching young people. One of the methods Faith Community Church has used is to have Christians share stories of their own struggles in life. The church has utilized interviews with young adults who grew up in diﬃcult situations but found hope through Christ. Many of those interviews have been put on the local television station and some have been recorded on DVDs and distributed to other young people. Some have even been posted on YouTube. As young people see the power of the Christian faith to change people’s lives, they become more interested in having that same kind of faith for themselves. Two words of caution are in order. First, when sharing our stories, we must be careful not to glorify the sin but instead to exalt the Savior. Second, we must also be careful not to fall into the “I versus you” syndrome. In the “I versus you” syndrome we make it sound like we are always right and the other person is always wrong. I will write more about that in my next post, but for the moment, just understand that such an approach seldom works with young people. We need to share our faith with others. We must take time to build healthy relationships with them first. Part of that requires us to be transparent about our problems as well as our victories. When sharing our story, we must always glorify the Savior, not our past sin, and we must not make the person we are talking to feel judged. My wife and I have a deep burden for young people. For years we have poured ourselves into young lives in the Central Vermont area. We have been many lives changed over the years and rejoice to have been used by the Lord as a part of that spiritual transformation. Last night we led our last youth group meeting before moving to Connecticut to begin a new ministry. We will miss these young people greatly and they will always hold a special place in our lives. Last night over 100 teens gathered to laugh, play, fellowship and to hear the Bible taught. 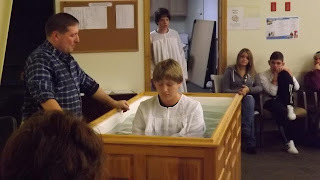 They also came to witness the baptism of five young new believers. It was a very special time and I think it was the right thing to do on our last night with this group. 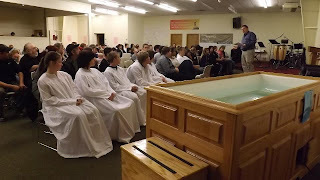 In an effort to make sure all the young people had one more chance to respond to God’s call to salvation, I decided to give the following Gospel presentation. Revelation 3:20 - Listen! I stand at the door and knock. If anyone hears My voice and opens the door, I will come in . . . .
• Jesus loves each and every person. Jesus wants His chosen children to spend eternity in heaven with Him after we die. • Jesus is knocking at the door of our hearts trying to get us to let Him in. How often have we felt Jesus trying to get our attention, isn’t it time we listened? John 3:3 Jesus declared, I tell you the truth, no one can see the kingdom of God unless he is born again. • The reason Jesus is knocking on the door of our hearts is because He really does care about where we spend eternity. • One day each of us will die, and though we do not like to think about it, death will come to every one of us eventually. This may cause some of us to worry about death. But the best way not to worry about death all the time is to settle the issue of where we will spend eternity once and for all. • When death finally comes to us, our body will die, but our soul will live on in either heaven or hell. • Heaven is often referred to in the Bible as the Kingdom of God. Heaven is a wonderful place where there is no sadness, no pain, no fear and lots of rejoicing with family and friends. • Hell, on the other hand, is a place of pain and agony. There is no partying with friends or family. It is isolated confinement in darkness and dread for all of eternity. That sounds scary to most of us, and it should, because it is! • We do not talk about hell much because it does not make us feel happy, but not talking about hell does not change the reality of its existence. • Jesus says the only way to see the Kingdom of God (get into heaven) is to be born again. Being born again means having a time in our lives when we let the “old” sinful self disappear and we let a “new” spiritually transformed self appear. It is a spiritual transformation that happens inside of us and eventually works its way to the surface. • Romans 10:9 - If you confess with your mouth, "Jesus is Lord," and believe in your heart that God raised him from the dead, you will be saved. • Confess means to “admit.” We must admit that we cannot live right on our own and that we need Jesus to be the boss, the ruler, the controller of our lives. • Once we are ready to allow Jesus to be the boss of our lives, we must also believe that God raised Jesus from the dead. It is the resurrection of Christ that proves that Jesus is everything He claimed to be and it also proves He has power over everything. If Jesus can conquer death, He can conquer any problem that we face in life. • Being born again does not just happen; we must call upon God to save us. • Sometimes people refer to this experience as “being converted,” or “becoming a Christian,” or “getting the Spirit” or “finding religion.” It all means the same thing. It is a time in our lives when we admit that we need Jesus to be our Boss and we believe that everything He said was true and we ask Him to forgive our sins and save us. Some people mistakenly think they are too bad to become Christians. But the Bible says that everyone who asks the Lord to save them will be saved. Dear God, I believe that Jesus came to earth and died on a cross for my sins. I am sorry for my sin and I want to turn from living my way and start living Your way. Right now I ask You to forgive me of my sin and help me be born again. To the best of my ability I promise to let you be the ruler of my life and to follow you always. Amen. Anyone who sincerely prays that prayer will be been born again and will go to heaven when the time comes for their body to die. They will have a change of attitude and lifestyle that will start inside and work its way to the surface. To help that attitude and outward change come faster, we should pray and read the Bible regularly and come to church as often as we can. In the Bible, people who were born again got baptized by being immersed under water as an outside sign of the inner change they experienced. 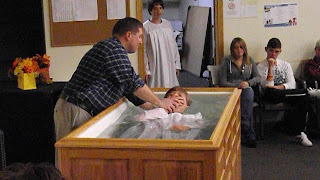 Those who have been born again should speak to a pastor about being baptized as soon as possible. In my previous post I wrote about how evangelism should be a process instead of an event. I want to expand on that idea more in this post. One of the reasons this concept is important is because young people are not as interested in how many Bible verses Christians can quote as they are in how many biblical concepts Christians live out in real life. From a spiritual perspective, they need the truth of those Bible verses, but from an emotional perspective, they struggle to hear the truth until they see it lived out in the lives of others. Therefore, it takes time for Christians to prove the truth of their faith by living it consistently in front of young adults with a post-modernist worldview. As postmodern individuals see the truth lived out, they become more willing to hear the theological propositions that undergird the Christian faith. This requires an ongoing relationship between Christians and postmodern nonbelievers. Building these relationships takes far more time and eﬀort than simply sharing a ﬁve-minute, memorized monologue on how to become a Christian. This reality brings up one of the challenges of witnessing to the next generation: even though postmoderns desperately crave meaningful relationships, they also hesitate to form deep friendships because so many of them have been hurt in past relationships. Inwardly they desire to belong to something bigger and special. However, at the same time they fear being hurt, so they resist being connected to others to protect themselves from pain. A couple of years ago, my wife and I were watching the movie, Into the Wild, which is based on the life of Christopher McCandless, who traveled to Alaska and lived all by himself in an old school bus in the middle of nowhere. He thought he would be able to survive by himself without the companionship of other people. The movie portrayed a number of potential relationships McCandless resisted repeatedly. He walked away from those relationships because he was hurt in a close childhood relationship. That experience made him afraid to have another deep relationship. Regretfully, while hiking through the Alaskan wilderness, he accidentally ate a poisonous plant because he misread a guidebook, which led to his death a few days later. If Christopher McCandless had other people with him, they might have noticed when he mistook a poisonous plant for an edible one. Perhaps they would have been able to help him hike back to town and seek medical help. Even if he felt he really needed some time alone, had he been willing to share his life with others, he could have told people where he was hiking so they could have come looking for him when he did not return. The story had a sad ending, but what made it even sadder was that it did not have to end that way. Christopher McCandless did not have to die isolated, alone, and far from home in an old school bus in the Alaskan wilderness. Ultimately, his distrust in relationships resulted in his untimely and tragic death. In many ways, that is a picture of the lives of far too many postmodern people. Many of them have been hurt, and that hurt has caused them to emotionally isolate themselves from those around them. They think they can make it all on their own without other people and without God. Though they feel isolated and alone and deeply crave meaningful relationships, they fear further pain. As a result, they become paralyzed relationally. Though people of all ages need healthy relationships, the generation-long epidemic of broken families and the mobile nature of young adults have made this need more acute in the next generation. God has designed us to need each other (1 Cor. 12). We need healthy relationships with others so we can experience the kind of life God wants us to have (Heb. 10:25). Even though we may experience some relationships that cause pain in our lives, we really cannot thrive without healthy connections to others. Even when we have been hurt by relationships in the past, those same relationships may give us hope in the future. Consider Paul’s experience in 2 Timothy 4:11 with Mark, a young man who caused him pain earlier in his life but who became valuable to him at a later date. Mark abandoned Paul at a critical time because the task ended up being harder than the young man originally thought. Paul persevered and successfully completed his mission without Mark’s help. Later, when Paul planned a second eﬀort, he refused to allow the young man to come with him. Paul’s refusal created such a controversy that Paul ended up severing ties with some long-term ministry partners. But as time went by, Paul realized that Mark had matured and he needed that young man after all, even to the point of speciﬁcally asking for Mark to come help him. It was a risk because Mark could have abandoned Paul again, but Paul reached out anyway, and the relationship was restored. Relationships are always a risk, but they are a risk worth taking because life without relationships is less meaningful. As we share our faith with others, we must be conscious of the fact that it takes time to build real relationships. It takes time to trust other people, but as we continue to live our faith in front of others and share what God is doing in our lives, God can use those relationships in wonderful ways. Christians need to take the initiative to build healthy relationship with others. Even though we may have been hurt in the past and we may be hurt again in the future, we must be willing to form meaningful relationships with others for our own relational well-being as well as for evangelism. Have you ever noticed that those who have been forgiven from so much are the ones who walk closest to the Lord? Those who have murdered, been involved in drugs, prostitution, etc. Such was the case with Mary Magdalene. Mary loved the Lord with all her heart. She had been possessed with seven devils. Jesus had forgiven her and set her free. To get an idea of what Mary had been through we need to read again in our Bibles the story of the Gadarene Demoniac in Mark 5. This scripture is very graphic as it describes how the man lived in tombs, cut himself, cried out in the night. No chains could hold him because he was possessed with strong demons. They had actually driven him insane. We don't hear any more about the Gadarene Demoniac after Jesus healed him. But we do hear about Mary Magdalene. Jesus had delivered her from seven devils and she could not do enough for Him or be close enough to Him. She loved Him, worshiped Him and thanked Him with Her every breath. When all the disciples had forsaken Jesus at the cross, Mary was still there. She was among the women who went to the tomb with spices to anoint Jesus' body. She was the first one to see the risen Christ. Jesus appeared to her first, even before His own mother. What was so unique about Mary Magdalene? She just never forgot what Jesus had done for her. May we as Christians never ever forget what He has done for us. 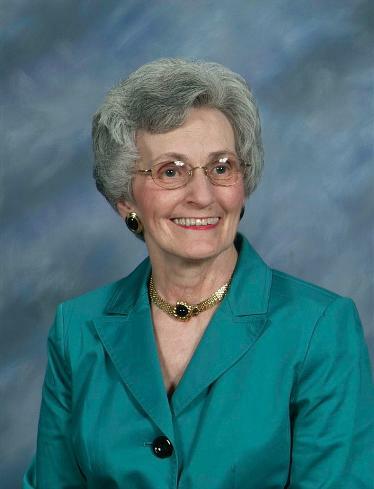 Ann Wilson has served in full-time Christian ministry for decades through her calling to be a church secretary. She writes devotionals that are published in church newsletters in South Carolina and is a recognized leader in missions education in her region. Some years ago, as we prepared to take part in a long-term mission assignment, my wife and I were required by the agency that was sending us to take part in a three-day evangelism training process. That evangelism process required us to memorize a fairly lengthy script that included spiritual questions people might ask, along with Bible verses to answer those questions. The process was very structured and worked well in the role plays we were required to do as a part of the training, but when we tried to use the method outside the training environment, it was not nearly as eﬀective. In real life, the people we witnessed to did not ask many of the questions from the script. They also did not respond in the right way to the Bible verses we had memorized. I do not recall anyone ever making a solid commitment to Christ when my wife and I attempted to use that particular evangelism technique. Since then I have learned a variety of other evangelism techniques. Though none were ever quite as much of a failure as that ﬁrst method, none were ever as eﬀective in real life as they seemed to be during the training process. I have come to believe that the problem with these various evangelism methods is that they all view evangelism as an event in which end in people saying what is often referred to as the sinner’s prayer. But if the people praying such prayers have no idea what kind of commitment they are actually making and do not have any desire to repent of their sins or live lives of service and devotion to God, then what value do such prayers have? In our postmodern culture, people are on a spiritual journey; they are searching for truth. As a result, they view the search for truth as a process instead of an event. Because of that, they rarely respond positively to being asked to say a sinner’s prayer after hearing a religious sales pitch from a well-intentioned Christian. While postmodern people may eventually say such a prayer, it will most likely occur after lengthy and thoughtful contemplation. If churches want to be eﬀective in sharing the gospel with the next generation, they will view evangelism as a process instead of an event. As I have prepared to move from Vermont to Connecticut to engage in an aggressive church planting ministry, I have been thinking a lot about Paul’s missionary journeys. I have been particularly drawn to Acts 18:1-11 where Paul leaves Athens, which was very needy for the Gospel, to do ministry in Corinth, which was also very needy for the Gospel. Walk with me through these verses and consider what God may be saying to us in regards to evangelism and church planting. Verse 1 - Paul left from Athens and went to Corinth. • In Athens Paul had debated the Epicurean and Stoic philosophers in an effort to help them realize that religious rituals had no value unless a person had a meaningful relationship with Jesus Christ. 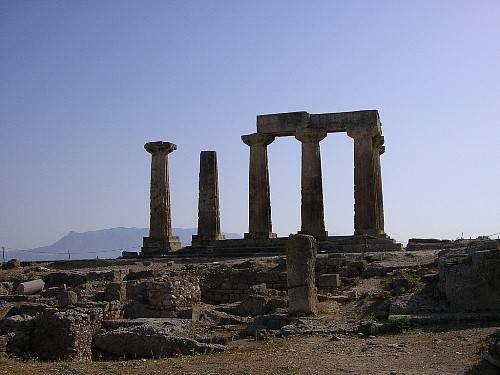 • Paul then went to Corinth, which was another major city in Greece, and a political and commercial rival of Athens. • Athens was known for its culture. • Corinth was known for i’s sexual permissiveness. • Though these cities were very different, the people in both of them needed Jesus Christ. Verse 2 - Paul found a Jewish man named Aquila, a native of Pontus, who had recently come from Italy with his wife Priscilla because Claudius had ordered all the Jews to leave Rome. • In the middle of this messed up city, Paul found a godly couple. • Aquila was a Jewish Christian and a successful businessman. • He was married to Priscilla, who was from distinguished and high ranking family in Rome. • They had been forced out of Rome by the King, whom the Romans called Caesar. 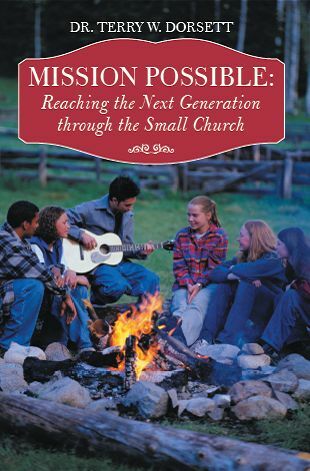 • Little did Aquila and Priscilla know how God would use them to help start a new church. • Sometimes we find ourselves in less than ideal situations due to circumstances beyond our control. In those moments we should strive to be a bright light for Christ in a dark place. Verse 3 - Paul came to them, and being of the same occupation, stayed with them and worked, for they were tentmakers by trade. • Paul found Aquila and Priscilla through their joint business skills, which was making tents. • Though Paul was highly educated and a recognized leader in the church, he often worked a second job to help support his ministry. He realized the local church might not be able to meet all his living expenses. • Today we call this “bivocational” ministry. • Bivocational ministry is hard because the pastor is working two full time jobs. • Pastors who are willing to make these sacrifices are essential to new churches being started and the Gospel getting to challenging places. Verse 4 - Paul reasoned in the synagogue every Sabbath and tried to persuade both Jews and Greeks. • Notice that Paul “reasoned” with people. • Paul was not trying to “argue” people into heaven. He was just trying to talk to them about the real life implications of spiritual truth. • We should share our faith in reasonable ways. • Though sometimes people may become argumentative, that should never be our goal. Verse 5 - When Silas and Timothy came down from Macedonia, Paul was occupied with preaching the message and solemnly testified to the Jews that the Messiah is Jesus. • Paul had been alone in his ministry for a period of time. But finally Silas and Timothy came to assist him. • Pastors often have to carry the load of ministry alone. But the goal should always be to train others to share the burden. • We must all be willing to do our part to help the church be healthy. • Notice Paul’s focus was on preaching and sharing Jesus with others. He did not lead every program in the church and make all the decisions himself. • Even though Paul tried to reason with the Jews about who Jesus was, some of them did not accept his ideas. • The Jews resisted Paul. • The word is only used one time in the entire book of Acts and indicates that Paul’s enemies went out and purposefully organized others against Paul. They were trying to stir something up. • God’s enemies are organized, so God’s people must be organized as well. • Though we do not want to be overly bureaucratic, being organized is essential for increased effectiveness in serving the Lord. • That is why churches should be part of a denomination. That connection helps churches do things in an orderly way. • That is also why churches should support groups that are organized for specific faith based causes such as Care Net and Christian radio. • Some of those who opposed Paul even went so far as to blaspheme. • Blaspheming is when a person speaks disrespectfully about God or about sacred things. • Blaspheming is a very dangerous thing to do. • When the people began to blaspheme God, Paul took off his outer robe and shook it out. • This was a symbolic way that Jews showed they were “done” with a person. • There came a time when Paul realized that trying to reason with them was a waste of time and energy. • Paul said that he would stop coming to the synagogue and instead spend his time in Corinth sharing Jesus with the Gentiles. • Sometimes we have to make hard decisions about where to invest our energy. • While we do not want to give up on people who are genuinely trying to understand God more and change, when we realize that all a person wants to do is argue with us and attack God, then it is time to move on in that relationship. • We should invest our time, energy and resources in those who are genuinely interested in growing in their relationship with Christ. Verse 7 - So Paul left there and went to the house of a man named Titius Justus, a worshiper of God, whose house was next door to the synagogue. • When Paul could no longer fellowship with those in the synagogue, he left and went next door to the house of Titius Justus. • Titius was a wealthy Roman citizen who had been sent by the Caesar to live in Corinth and help represent Roman ideas there. • Though Titius was not Jewish, he did worship God. His house was next door to the Jewish synagogue. • Paul had no problem finding ways to worship and serve the Lord which were more productive than what he had been doing. • When God closes one door, He opens another. Verse 8 - Crispus, the leader of the synagogue, believed the Lord, along with his whole household; and many of the Corinthians, when they heard, believed and were baptized. • Titius was not the only person who decided to follow Christ. Crispus also became a Christian. • Crispus was the leader of the synagogue and this must have been a very hard choice to make because he had to leave a lot behind in order to follow Christ. • Crispus was very wealthy and owned a large home. The church would eventually meet in his home for regular worship. • When Crispus made the decision to follow Christ, many other people in Corinth followed his example and also became Christians. • We never know how many people we influence through our own spiritual journey. When we walk in obedience to the Lord, many others will follow. • Though Crispus had been a leader in the Jewish religion, he was immediately baptized as an outward sign of his new Christian faith. • First, people heard the Gospel. • Second, people accepted the Gospel. • Third, people were baptized as an outward sign of their acceptance of the Gospel. Verse 9 - Then the Lord said to Paul in a night vision, "Don't be afraid, but keep on speaking and don't be silent. • Though God most often speaks through the Bible, sometimes God speaks in unusual ways. • In this situation, God spoke through a vision in the night. • God told Paul not to be afraid of those who were resisting him, but to just keep on preaching the Word and not to be silent. • There are times in our lives when others will attempt to intimidate us into being silent about our faith. • We must be brave and refuse to be silent about the faith that we have in God. • God promised Paul that He would be with Paul. • God will also be with us in our times of difficulty. • God told Paul that He had many people in Corinth who followed Christ. • We may be surprised how many people in our circle of friends are believers if we would stand up and say something for Christ. Verse 11 - And Paul stayed there a year and six months, teaching the word of God. • After all the opposition that Paul faced, he still stayed another 18 months preaching the Word of God (Bible) in Corinth. • Considering that even under good conditions Paul rarely stayed more than a few weeks in any one city, a stay of 18 months was an incredibly long stay for Paul. • When God begins to work, we never know how long such a special anointing will last. • But when God does something cool, we must alter our plans, adjust our schedules and join God in His efforts. • The last thing we want to do is miss something BIG that God does. • When we find ourselves in unpleasant circumstances, we should shine bright for Christ. • We should not be surprised when people oppose our faith. • We WILL BE surprised at how many other people stand with us when we stand for Christ boldly. • When God does something special, we should join Him in it because no one knows how long it will last. Should Churches Adopt Postmodern Values?